How is it that a sofer with such a nice ksav either doesn't know or care enough to make the right tag of the Lamed taller/longer than the left? Even though it's an easy fix, it detracts from the value and puts the sofer into question. In addition, there's spacing in between words which appear to be 3 kulmusin wide, which is a bigger issue and not correctable without erasing/rewriting and in some cases stretching/thickening letters. It's not uncommon for even very good sofrim not to realize they are doing this so I have less of a ta'anah on the sofer. The sofer either needed to make a slightly wider kulmus or make his columns a bit more narrow. There is zero spacing issues here - on all accounts. Firsty, I wrote maybe as I didn't measure the space between words, I just based it on sight/experience. Were this an actual megillah I was considering purchasing or was checking for someone I'd have measured. I've now printed out a picture, figured the average width of the Yuds and in fact, there are some 3 Yud wide spaces and some that are just less. About what you say is “A bigger issue”. See Shulchon Oruch Harav Siman 32, Seifim 37 and 47. Only mentions that a space of 9 letters can be “A issue”. Also see Yad Shoul Yore Deio Siman 275, Seif Koton 3. Even a space of 9 letters isn’t always an issue! On the other hand, stretching and narrowing letters in a noticeable manner, can certainly be Halachakly problematic – Menumor. See Shulchon Oruch Harav Siman 35, Seif 2. Therefore, as you very well said “It's not uncommon for even very good sofrim” to write this way. 1. Where did you find this Shiur of “3 Kulmusin space”? 2. Where do you take that, “correcting” such issues with erasing/rewriting, is acceptable? 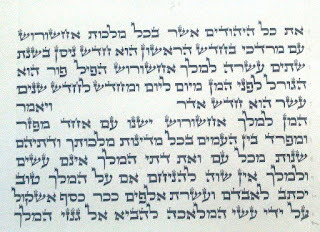 Here you'll see a summary of sources from Rishonim to more recent on the matter of shiur parsha, 3 osios and whether this refers to osios gedolos or ketanos. Harav Menachem Yehudah Gross said that while he didn't hear from Rav Elyashiv, its pashut to him that a space of 3 Yudim between words is bedieved. I recall this from Rav Friedlander as well and am trying to confirm with another talmid, who's a moreh horaah. 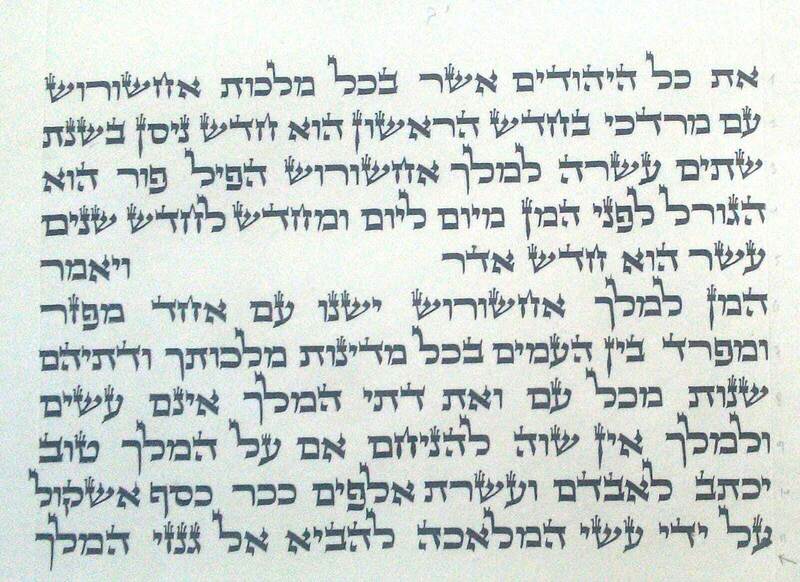 While my recollection from Rav Friedlander remains, I've heard from 2 leading talmidim of Rav Friedlander (and a 3rd, who didn't ask directly but understands the same way),that he held that while one may not write this way and it need be fixed if reasonable/possible, such spacing is bgeder lechatchila but not mehudar. I'm told that Rav M.S. Klein considers it mehudar. I must correct what I said in the name of Rav Menachem Yehuda Gross. I had intended to ask him myself but before I could do so, a sofer, who I had discussed it with, asked him about it and I shared what he told me above. However, I just spoke to Rav Gross in order to hear it for myself, and in fact, he said it's lechatchila but not mehudar so disregard what I said above in his name.